Few ailments are as commonplace as cold and flu. While these can strike virtually anyone, they are very easily treated. 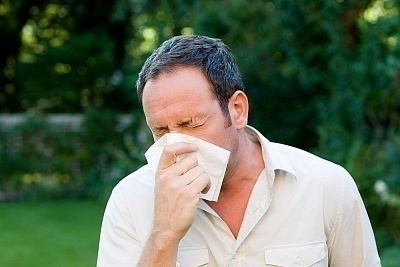 Symptoms of the common cold consist of nasal congestion, sneezing and a runny nose. Sometimes the cold is accompanied by a fever. Early on, one may get a headache or sore throat. Secretions from the nose are greenish or yellowish in color. Some of the other major signs are coughing and sore muscles. Those with the flu will feel tired and sweat a lot. The muscles feel very stiff and there is also a cold. Headaches are experienced. A running fever may be felt too. Both cold and flu will lead to a loss of appetite. Flu diagnosis starts with a physical examination. The doctor will go over the symptoms carefully to make sure that it is indeed the flu. An X-ray may be done if there are indications of pneumonia. If it becomes necessary, the blood will be examined. A CBC (complete blood count) and sputum culture can be ordered by the doctor. An antigen test is the most widely used method for checking the flu. This consists of throat and nose swabbing. The samples are then analyzed. The results are used to assign the proper medication. The common cold usually doesn’t need a diagnosis. These clear up in a couple of weeks at most. 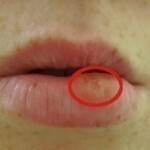 Only when it lingers for longer than that should one consider going to the doctor. For mild flu, bed rest is recommended. The patient should drink lots of liquids, especially water. There are over the counter medicines that can relieve the symptoms. Take them in the appropriate doses. Antibiotics aren’t needed unless there is another ailment. Antiviral medication can also be given. These are usually taken if there is a risk for other health complications. Young children don’t usually need any antibiotics as the illness will dissipate in a matter of days. Medication is given if a severe case develops. The cold can be treated with several over the counter medications. Chicken soup may help alleviate some of the symptoms. Bed rest is also advisable. Some people recommend taking vitamin C or zinc. Doctors recommend a once a year vaccination shot for flu protection. Occurrence of colds can be lessened by fortifying the body’s immune system. There are many ways this can be done. The first step is by exercising regularly. The ideal routine should be 30 minutes, three to four times a week. Include vegetables and fruits in the diet. Having some sunlight exposure is also essential. Wearing protective clothing during the cold season is also a good idea. One should also make it a point to avoid overexerting the body. Fatigue weakens the immune system. Although cold and flu are very commonplace, treatment is widely available. Most of the time, it only takes a few days rest for health conditions to improve. A healthy body makes it more resistant to the illness too.